I typically decide if I like a song or album based on the decision that I either would have made my Barbies dance to it or choreographed a dance at a slumber party to it! All of that to say, I rushed out (on my lunch hour) the day the new Justin Bieber album hit shelves. I couldn't wait to get my hands on Believe. For good reason! My ears/heart/mind must have known that my lofty expectations would be met! I'm proud of Justin. He seems to have kept his moral compass in check. He's adorable. I love most of the songs on the album. 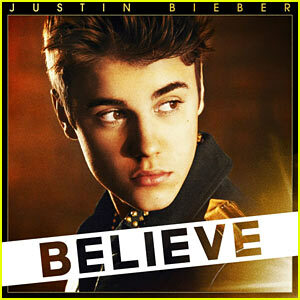 Another favorite would have to be track 3 - As Long As You Love Me featuring Big Sean. (I've already deemed it "our song"...my fiance, bless his heart, just goes with the flow!) Another one of my favorites is track 12 - Be Alright. The lovey dovey songs that 13 year old girls picture him singing to them, I hear and picture him serenading Selena Gomez. So, if you want a fun summer album, Believe is it. If you know me, you know I adore Katy Perry (despite being stood up at a concert in 2009). When one of my best friends and I found out about Part of Me, we scribbled it in our planners immediately! We made a date to see the movie on July 5, and I'm SO glad we did. Katy Perry - Part of Me is amazing! I don't look at reviews from critics or money at the box office to determine if I'm going to see a movie. They aren't always right. I'm here to tell you, the music and costumes are reasons enough to rush out and see the film! LOVE!!!!!! The film also showed an insight into her personal life that was so real and so touching. I admire her vulnerability and guts. Stay tuned for more pop culture news!